Enjoy the authentic Mexican flavor! We invite you to enjoy our variety of Mexican food with the good quality and authentic taste that you deserve. Margarita's is a business with more than 7 years of experience in the food world. A tradition rooted in quality and hospitality separates Margarita’s from other restaurants. Our real Mexican seasoning and fresh ingredients make the deference in our dishes. We offer authentic food at a nice location where you can enjoy a nice moment with your family. 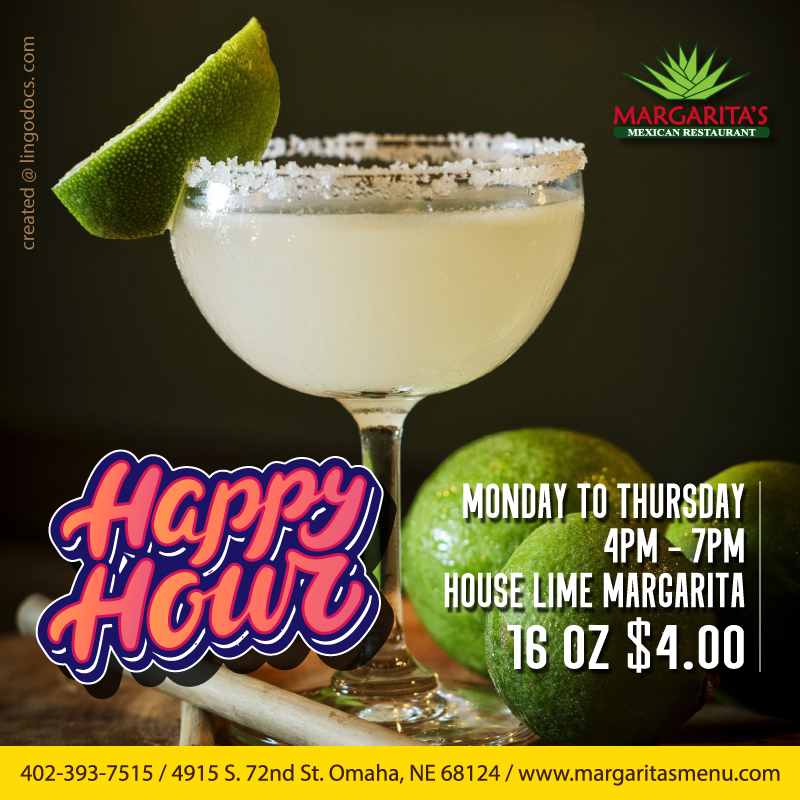 Margarita’s owner proudly declares, "Margarita's most popular dishes on the menu is the Margarita’s Especial fajitas, Chimichangas, Burrito margarita, rancho combo and others more.